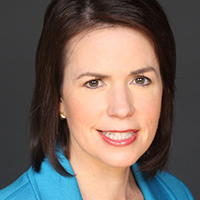 Julie Myers Wood is the chief executive officer of Guidepost Solutions, a leading investigative and compliance consulting firm. She focuses on regulatory compliance and investigative work. Most recently, she supervised a comprehensive technology review and assessment of the Office of Foreign Assets Control (OFAC) and anti-money laundering (AML) capabilities for a global bank, overseeing the implementation of data analytics capability to detect anomalies in AML and OFAC screening, as well as USD clearing for correspondent banks. Ms. Wood managed a team reviewing the AML and sanctions rules/wraps, internal software platform, investigator training and alert closure, and procedures/policies. In this role, she worked closely with New York regulators. Ms. Wood is currently serving as the anti-money laundering auditor for a residential mortgage loan originator at a large corporation and the independent consultant for a global oil and gas company on sanctions issues. Ms. Wood also has significant experience as a monitor. She led the monitoring team on behalf of Guidepost Solutions for DHL relating to OFAC issues. She worked with New York regulators as deputy to the monitor for a foreign financial institution and serves as the appointed monitor for a certification lab. Prior to joining the private sector, Ms. Wood served as Head of Immigration and Customs Enforcement for the Department of Homeland Security (DHS) leading its largest investigative component and the second largest investigative agency in the federal government. In supervising ICE’s investigative activity, Ms. Wood oversaw the agency’s wide variety of AML and trade compliance (OFAC, EAR, ITAR) investigations and private sector compliance programs, testified about best practices and investigations, and enforced the Export Administration Act and related export control regulations. Under her leadership, the agency developed new methods and proposed legislative language to combat emerging trends relating to trade-based money laundering, check cashing and money remitters, and stored value cards.